Channel off-duty vibes dressed in this black shift dress that can be worn for so many occasions. 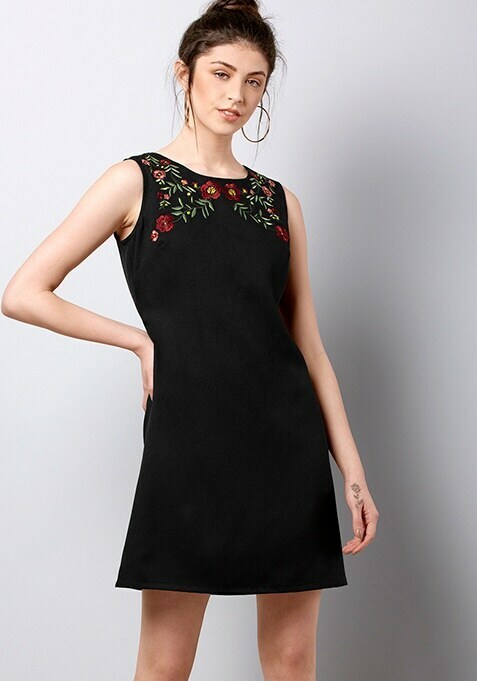 Featuring embroidered neckline and a sleeveless design. Work It: Style this dress with block heels and complete your look with a mini bag.